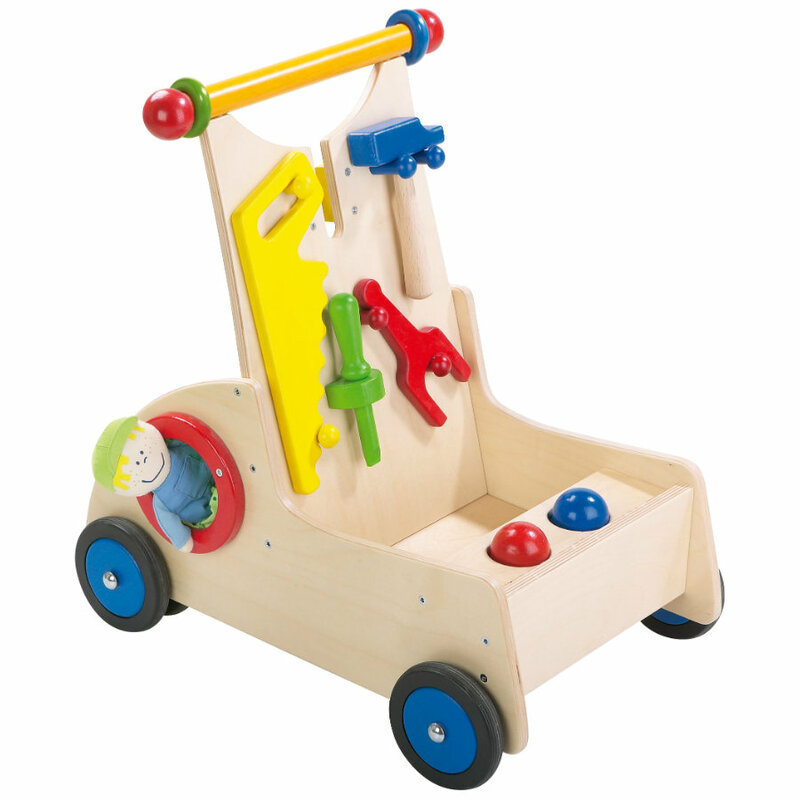 Pull yourself up and go help Papa - your little helper will love this walker wagon. It is not only a great help for your child's first steps but also includes lots of "real" tools: a saw, hammer and a screwdriver. Birch Plywood and Rubber Tires.